Sony launched its Xperia Z Ultra phablet in India, bringing one of the biggest handsets in the world to the country. The new device, which has a 6.4-inch screen, has been priced at Rs 46,990 and will hit the stores on August 2. It is the thinnest fullHD phone in the world and is water and dust resistant. Xperia Z Ultra phablet has display resolution of 1920x1080p and 344ppi pixel density. Under the hood, runs the quad-core Snapdragon 800 CPU, Qualcomm's latest and powerful processor, clocked at 2.2GHz, backed by 2GB RAM. This device has the same design language as Xperia Z smartphone and features on-screen keys as well as scratch-resistant and shatterproof glass. The phablet runs on Android 4.2 (Jelly Bean) with a customized UI to make better use of the extra screen size. 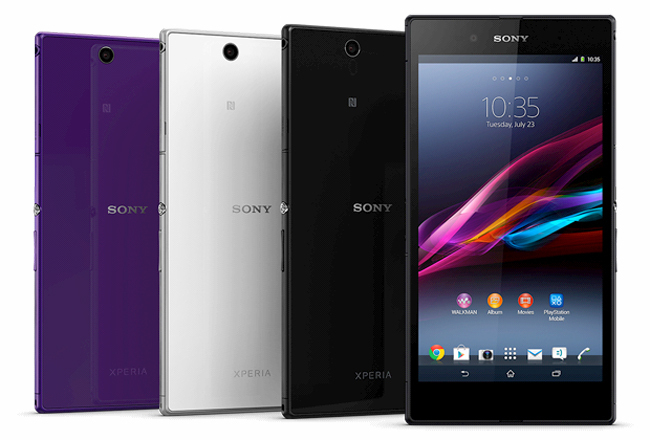 Powered by a 3,050mAh battery, Xperia Z Ultra packs 16GB internal storage and supports microSD card expansion up to 64GB. Connectivity suite of Sony's latest gadget consists of 2G, 3G, 4G, Wi-Fi, Bluetooth 4.0, NFC and microUSB 2.0. On the back is an 8MP camera with LED flash, while a 2MP unit is placed in the front. At 212gram, Xperia Z Ultra is one of the heftiest phablets in the market, but with thickness of just 6.5mm, it finds itself a spot among the slimmest handsets today. Apart from multitouch, users can input data via stylus and pencils in this new phablet. Sony India marketing head said the Xperia Z Ultra will come preinstalled in Sony TV and Sony Music apps, along with free Bigflix subscription for a month. Sony has partnered with Vodafone India to offer 8GB of free data download for a period of two months with this device. The company also launched accessories like stereo Bluetooth headset and magnetic charging dock.